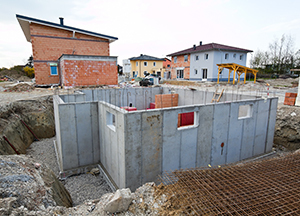 One of the most difficult tasks in preparing a residential building for construction is basement excavation. With more than 25 years of experience in the construction site-preparation industry, OnSite Resources is the company customers across the Triangle trust for all of their residential construction needs. While basement excavation can be done by hand, there are numerous risks involved. Excavating under a building can be tricky. The structure needs to be supported during the excavation to avoid compromise to the structural integrity, which could make it unsafe. You also need to provide an area to store excavated materials, usually with the goal of eventually hauling them away. It is also possible to encounter unexpected hazards such as mold or mildew. That is why this labor-intensive project is best left up to a Raleigh contractor that has extensive knowledge and expertise in excavation services. To experience the highest quality of basement excavation and residential site-preparation services in the Triangle, contact OnSite Resources. Make an appointment with one of our representatives and we will get back to you as soon as possible.